الخيار الأفضل للحصول على المتعة والاسترخاء, Horizons Holiday Apartments يقع في منطقة بورليغ هيدس في جولد كوست. يحظى هذا الفندق ذو 4 نجمات بمكان ممتاز يسمح بالوصول إلى المعالم السياحية الأكبر في المدينة، فهو يبعد مسافة 1 km عن صخب المدينة. يوفر الفندق بفضل موقعة الجيد وصولاً سهلاً إلى أهم معالم المدينة.
. استمتع بالخدمات الراقية والضيافة التي لا مثيل لها بهذا الفندق في جولد كوست. يمكن لضيوف الفندق الاستمتاع بالميزات التالية على أرض الفندق: تسجيل وصول/خروج سريع, تخزين الأمتعة, واي فاي في المناطق العامة, صف السيارات, خدمة الغرف . بالإضافة لهذا,تتضمن كل غرف الضيوف مجموعة واسعة من وسائل الراحة . بعض الغرف توفر حتى اتصال لاسلكي بالإنترنت, مسبح خاص, غرف لغير المدخنين, تدفئة, شرفة/ تراس لإرضاء أكثر الضيوف تطلباً. صممت خدمات الاستجمام في الفندق والتي تتضمن ساونا, مسار جولف - ضمن 3 كم, حمام سباحة خارجي, سبا, ملعب للأطفال لمساعدتك على الاسترخاء والراحة. يحظى فندق Horizons Holiday Apartments بموقع ممتاز وخدمات يصعب منافستها. Good older units, full kitchen facilities in unit. Nice pool and spa. Balcony was nice to sit on. The garage is 1.91 m high so if bringing a board on a tall 4WD you need to take it off to get in the garage and store it next to vehicle. Aircon in the bedroom would be ideal as the one in the living area does not cool the bedrooms enough. Staff were lovely to deal with. Definitely good value. Kettle did not work. Light bulbs missing. Reception not open much over the weekend to be able to report. Easy walk to the beach. A few restaurants, Coles, Aldi and a few other shops just a 5 minute walk. Pool and spa was well maintained, very clean and not too crowded. Only negative is the apartments that face the highway are very noisy, they could have invested some double glazing. Only 1 air conditioner, bedrooms were very hot and uncomfortable to sleep due to the heat. 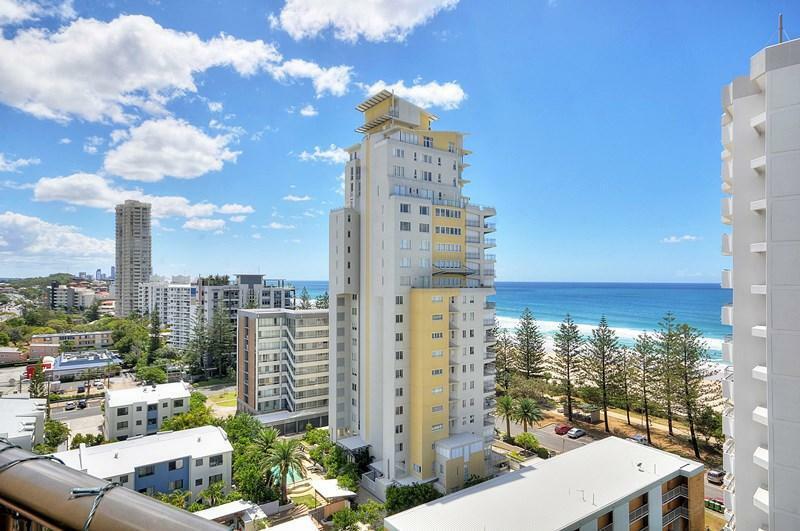 Overall I would stay here again as the apartments are very well equipped and spacious but I would definetly request an ocean facing room to escape the noise of The Gold Coast Highway. It is better if there is room service. The apartment was ideal for the five of us although it was rather hot and it would have been better if the bedrooms had aircon. Always our go-to for accommodation on the Gold Coast. Friendly staff (Thanks Russell!) 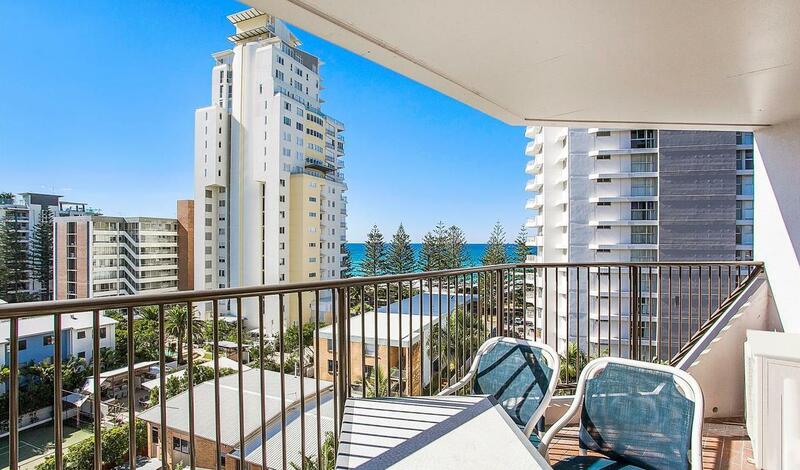 and easy access to the beach and an easy drive to other parts of the Goldy :) See you on our next visit guys! Horizons holiday apartments was a wonderful place to stay. 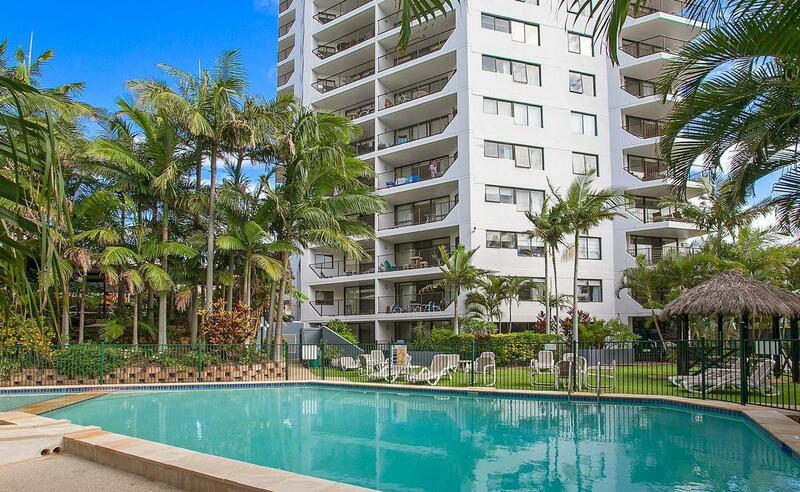 Perfectly positioned on the Gold Coast highway (on the beach side) meant great views and easy access to transport. A short walk in either direction opens up wonderful shopping and dining options. The room itself is spacious and well equipped, especially if you like to cook some meals on site. The pool area is well maintained, as are the tropical gardens and the beach path makes accessing the beach very convenient. The only real downside is that the path is not well signed from the beach which makes it a little difficult to find the first time. Burleigh heads has become my new favorite part of the Gold Coast and I will definitely be staying at Horizons when I come back. 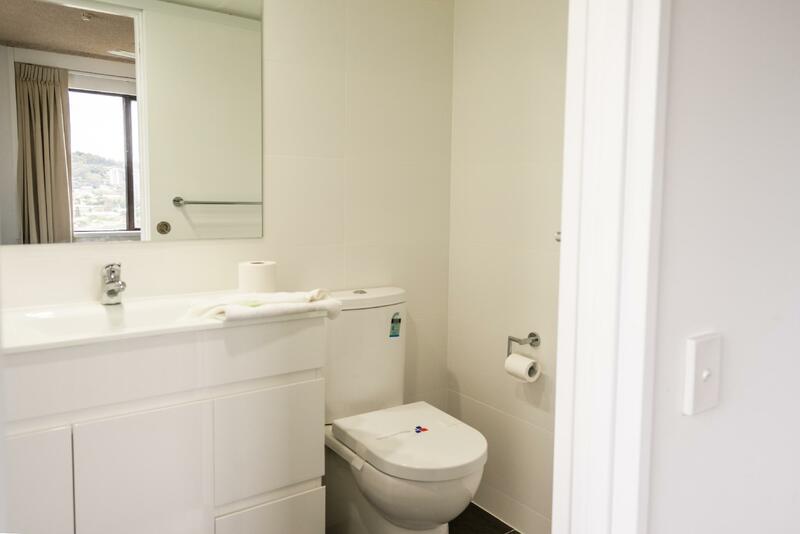 Perfect for the beach, apartment was supplied with everything you need! Mother Nature can't be controlled but the Windows did a terrible job and concealing the wind outside. The Windows were not properly concealed and the howling noise along with the the blinds banging made it impossible to sleep. Other hotels on the coast don't seem to have this problem. The location is good and the staff friendly. The room could use a bit of a facelift. Awesome family break - easy walk to the beach. Main road location but we couldn't really hear it (although probably helped being on the 14th floor). If returning we would hire a car as the road was quite busy and and dangerous with a little one when catching buses. Reasonable at the price, but no air conditioning and very hot. A few things were not working in the room (TV and light) and lifts went out while we were there. Congenial manager who fixed things. Good, unfortunate that work was being carried out in the building that prohibited use of the pool during peak school holiday period - bad timing! Lovely area we wish to explore further. Close to Coolangara and close to Casino. Close to the beach. Close to 7/11.